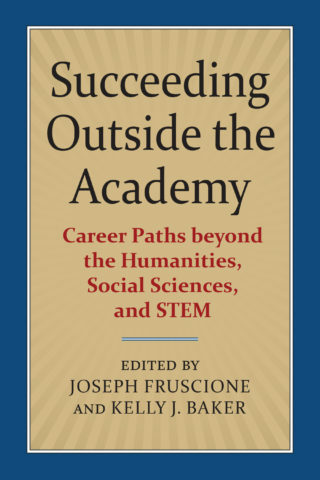 Succeeding Outside the Academy: Career Paths beyond the Humanities, Social Sciences, and STEM, edited by Joseph Fruscione and Kelly J. Baker, University Press of Kansas, October 2018. "So how do you take your graduate training outside of academia? To start with, you read this book. Succeeding Outside the Academy is a great resource filled with useful instructions and advice on how to jump-start the new job search—and how to get excited about it. This book is enormously useful, filled with good stories, and altogether fun to read."